The stamps that they released for Valentines Day are just too cute - and can be used all year! Love is ALWAYS the answer, right? 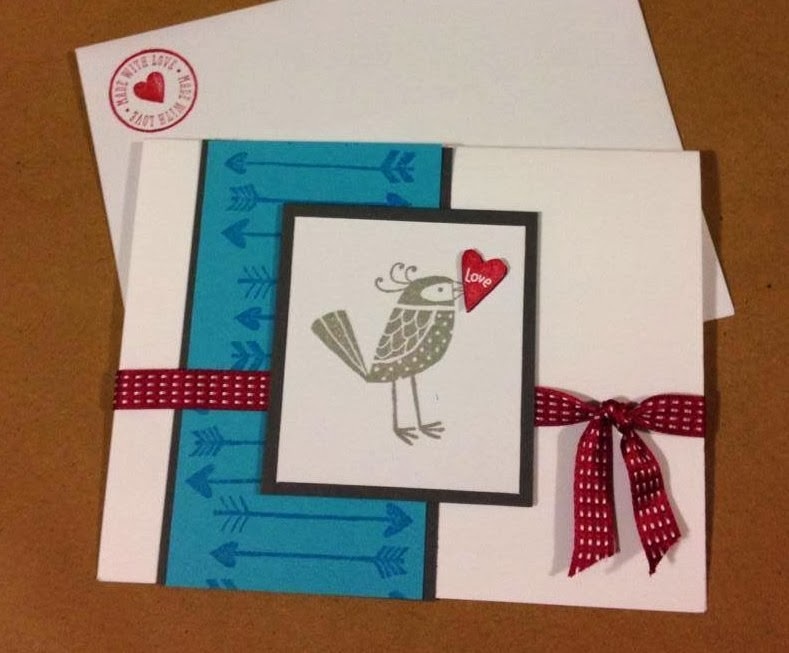 This card is for the Love Notes stamp camp this month, CASEd from Catherine Carroll at Ideas Inkorporated. You can get the Valentines limited edition sets only as supplies last, so pop on over to my online store and get yours ordered today! Midnight Crafter Angela Bodas for Stampin' Up!